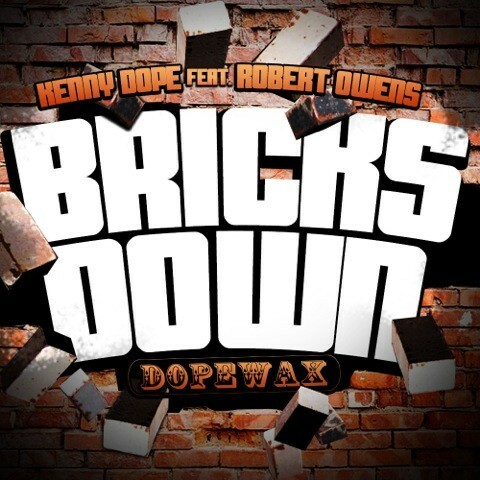 Following on from the recent release of 'Bricks Down', a collaboration between Kenny Dope and Robert Owens on Dopewax, comes a set of remixes. No introduction is needed for these remixers as Kenny reunites with long-time production partner, Louie Vega for the first Masters At Work production of any kind in over 10 years. Exclusively premiered to the world on Pete Tong's BBC Radio 1 show, the Masters At Work remix stays true to their signature production style, albeit with an updated sound for 2015. Having released timeless club cuts such as 'The Bounce' and 'What A Sensation', Kenny & Louie also reignite their KenLou name with a Rubber Dubb mix of the original - stripping back the arrangement and focusing more on the percussive elements which gives the KenLou mix a different but equally effective take on the track. Next up on remix duties is Mr. G who takes things deep, dubby and jackin' - his analog grooves perhaps one reason it was coined 'Most Rated Track' of the week on Defected's radio show. Doc Daneeka keeps his production raw and stripped back on his remix, the beats speaking of a moonlit terrace - possibly ideal for that after-party sound. Merry Christmas everyone, check it out below.